John M. Cox, M.D. 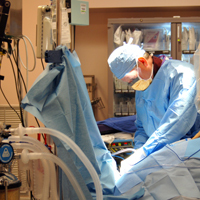 is a fellowship trained board certified surgical oncologist specializing in diseases of the breast, both benign and malignant. He earned a bachelor of science in Chemistry from the University of Utah in 1990, and began graduate work toward a Ph.D. Both Dr. Cox's father and older brother are surgeons, and he soon began to feel a calling to also study medicine. He was accepted into the University of Maryland School of Medicine, and graduated in May of 1998. Dr. Cox met his wife, Carol, while attending Medical School at the University of Maryland. After earning their medical degrees, both were accepted into University of South Florida residency programs. Carol Swanson Cox, M.D. is currently a board certified OB/GYN physician employed by the USF Physicians Group. Dr. John Cox felt compelled to follow in his older brother's footsteps. Charles E. Cox, M.D. is a Professor of Surgery at University of South Florida, and is widely acclaimed for his research and clinical work as a breast surgeon. 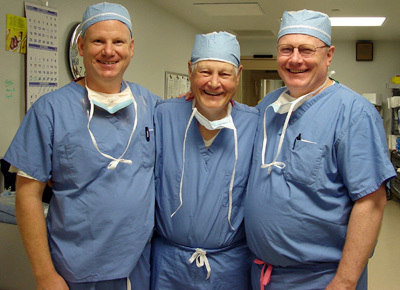 Dr. John M. Cox chose a surgical residency because of his brother’s influence and enthusiasm for his work, leaving no doubt where he wanted to focus his surgical career. 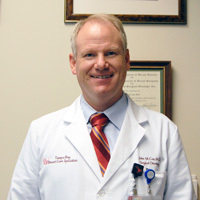 Dr. Cox completed his educational training with the Moffitt Cancer Center in December of 2005, where he had spent a year completing a fellowship with the Surgical Society of Oncology. At the beginning of 2006, Dr. Cox found his career path at the intersection of several choices. One choice was to join his older brother in practice at the Moffitt Cancer Center, another was a position with the University Community Hospital, and the third was beginning a private practice. By the end of March 2006, it was clear to Dr. Cox that he wanted to open his own practice in North Tampa, and has been moving forward ever since. Why we use the butterfly for our logo.